With La Jolla’s hilly terrain, it’s common for you to find comfort in the highs and lows of this area’s scenery. But, when it comes to your home, there’s nothing you crave more than total home comfort that’s steady—and lasts. At Mauzy, Heating, Air & Solar, our team believes that La Jolla, CA, residents deserve flat-out, unwavering contentment—and that’s exactly what our superior HVAC services are designed to deliver. Whether you’re looking for a basic heating or air conditioning repair or an entire HVAC system replacement, our certified technicians have the industry expertise and hands-on experience to get the job done right, the first time around. Though California is known for its warmer weather, residents still battle cooler temperatures during the winter months. This makes it crucial that your home operates both a heating system and an air conditioning unit. So, whether you’re looking to replace your aging air conditioner or to install a new furnace or heating system in your home, a dependable replacement or installation will make the difference between a system that keeps you comfortable and one that helps you achieve complete contentment. Luckily, as a La Jolla resident, you’re in luck. That’s because no HVAC company cares about helping you attain and maintain your home comfort like Mauzy. In fact, you can trust our comfort specialists to help you find a unit that is properly sized and has the sufficient heating and cooling power you need to keep you comfortable—day in and day out. Not only does our team guarantee that our high quality systems will increase the energy- and cost-efficiency of your home, but we promise our certified technicians will install your unit correctly—the first time around. At Mauzy, we offer more makes, models and efficiency levels of heating and air conditioning systems than any of our competitors. And our technicians are capable of providing superior services to all of these systems. So, put your confidence in our installation and replacement services. We certify you can feel the difference in our products and services—literally. You can’t plan when a heating or AC repair will occur; however, you can plan for it. But doing so requires being observant of your heating and cooling systems’ wellbeing and having a professional HVAC company on speed dial. You see, the sooner you fix your system’s need for a repair, the less likely this problem is to escalate to a serious issue. Swift repairs extend your system’s lifespan, lower your high energy bills and protect your budget. If any of the above signs occur, contact Mauzy’s team right away. Our professionally trained, licensed and insured HVAC technicians will show up quickly, diagnose your system’s problem accurately and provide your air conditioner or furnace with an effective repair that lasts. It’s time to find peace of mind and take comfort in our quick repair services. 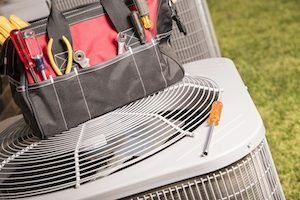 Next to a dependable system installation and rapid repairs, the most effective way to defend your home comfort is by providing your air conditioning and heating system with the maintenance it needs. From seasonal system maintenance to frequent unit checkups, a little TLC goes a long way. It increases your unit’s energy efficiency, minimizes the potential of costly repairs or expensive breakdowns, lowers operation and energy costs and extends the lifespan of your AC unit. This leads to a healthier and more budget-friendly comfort system for your home. The team at Mauzy takes the extra step by offering maintenance plans that will give you all the benefits of a well-maintained unit—but at a more affordable price. Choosing to install solar panels in your La Jolla home is an excellent way to curb costly energy bills and reduce your impact on the environment. But don’t let the fear of this large lifestyle change defer you from making the switch. The solar contractors at Mauzy will help you every step of the way. We promise to source, price and install a residential solar system that fits your home’s power needs and leaves a sunnier impact on your budget. By combining advanced modern technology with decades of experience in the HVAC industry, the Mauzy team is confident that we can exceed all of your home comfort expectations. Our certified technicians are proud to provide air conditioning, heating and solar services that the La Jolla community can depend on to deliver the comfort that every homeowner deserves. Mauzy’s comfort specialists make your home comfort our priority. For more information on how our heating, air conditioning and solar energy services can be beneficial for your La Jolla home, fill out our online form or call us at 858.900.3909 today!